In Western and Northern Europe, as well as in the United States, ovarian cancer represents the third most frequent cancer of the female genital tract with an estimated 191,000 newly diagnosed cases per year worldwide. Due to its insidious onset, the disease is diagnosed in 70% of cases in an advanced stage. Consequently, ovarian cancer is the fifth leading cause of cancer-related deaths in women. 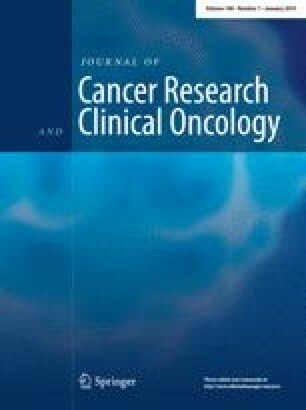 Epidemiological and molecular studies reviewed here have identified demographic, geographic, molecular, genetic, endocrine, dietary, and environmental factors, which affect the risk of developing ovarian cancer: ethnic background, tumor suppressor gene mutations in the germline, positive family history, number of full-term pregnancies [odds ratio (OR): 0.17; 95% confidence interval (CI): 0.05–0.54], time spent breast feeding, oral contraceptive use [OR: 0.23; 95% CI: 0.10.50], unexplained infertility (OR: 2.64; 95% CI: 1.10–6.35), tubal ligation and prior hysterectomy (OR: 0.5; 95% CI: 0.2–0.9), dietary factors and obesity (OR: 1.7; 95% CI: 1.1–2.8). This knowledge provides the objective basis for an individual risk assessment for women, which should lead to sophisticated counseling and prevention. It should also help to individualize the therapeutic approach in the event that disease is diagnosed.